Let me introduce MsMidge’s Scrappy Refractatorium quilt. 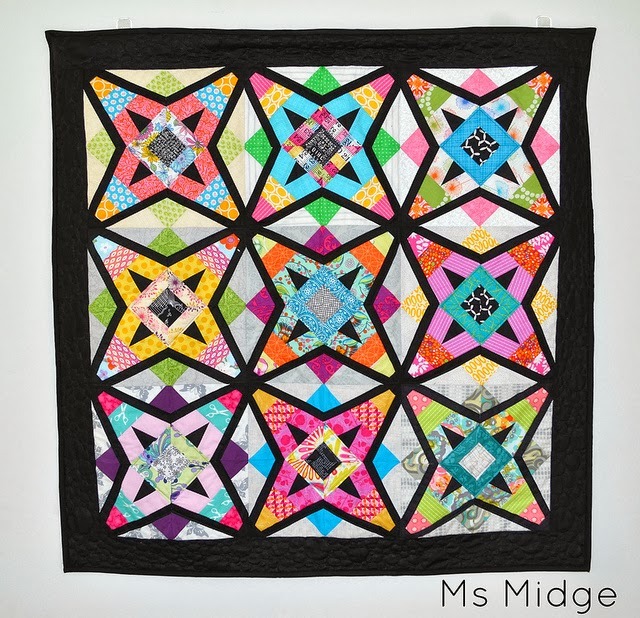 MsMidge has been keeping me updated on her progress and today on her blog you can see the finished and bound quilt. Isn’t it just divine. 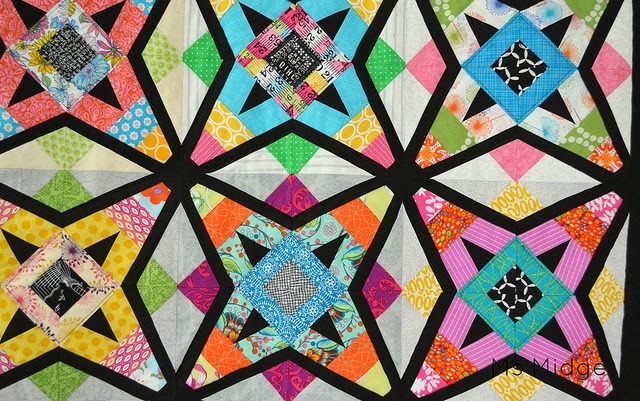 A compilation of blocks from the Wombat Stew Paper Piecing Bee, it radiates with such scrappy loveliness, outlined in a definite black border and quilted with Aurifil 2692 50wt black cotton thread. I love all the gorgeous fabrics used in each block. 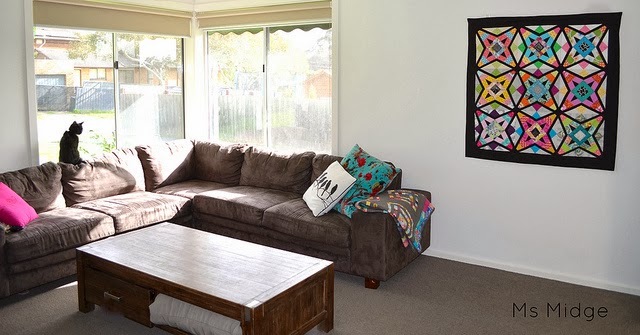 The quilt takes pride of place hanging on the lounge room wall for all to enjoy. Thank you MsMidge for doing wonderful things with the Refractatorium block x. Visit MsMidges blog to read the full story. MS Midge, you did a fantastic Job with Janes pattern. love the whole Layout. Love it – so colourful…and detailed. That is an awesome quilt!!! The black lines are such a great graphic statement! It's beautiful! It reminds me of a kaleidoscope I had when I was a child. Saw this on FB today and knew it was your block pattern. She has done a fantastic job with this, love the whole layout.